Recently my friends (at least I thought we were friends) at Outside Magazine compiled a list of the best cities in the United States. The best cities to live in, in the entire US of A. And my adopted hometown of Greenville, SC, wasn't there. We didn't even get an honorable mention. Their list was sixteen cities long and even included Bar Harbor, Maine, a town that's known to freeze solid seven or eight months out of the year. 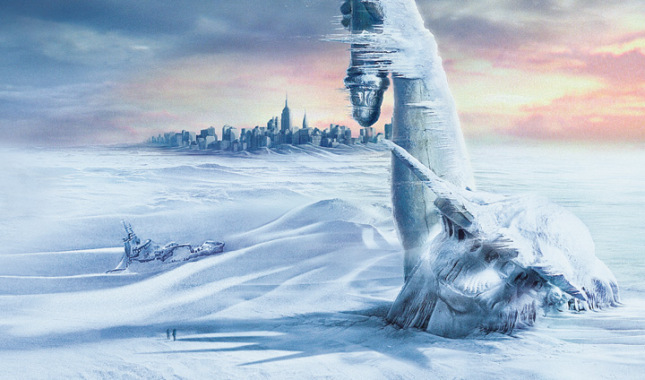 If you're not familiar with Bar Harbor, just watch Dennis Quaid's movie on overnight climate change, The Day After Tomorrow. This movie was filmed without special effects, on location in Bar Harbor, in April. So the inference is even Bar Harbor, Maine is a better choice than Greenville, SC. Filmed on location in Bar Harbor, Maine. If that wasn't enough, Outside Magazine's number one city to live in is Chattanooga, TN. After I recovered from the initial hurt of this drubbing by my (former) friends at Outside, I thought about the many reasons why we live in Greenville and not Chattanooga. Yeah, I know the story was based on all of the outdoor possibilities that come with cities such as Chattanooga: hiking, climbing, camping, mountain biking, fishing, road cycling, etc. Both Greenville and Chattanooga offer a wide variety of outdoor possibilities so that part of this contest is really a tie. As a lover of adrenaline-inducing sports, a frequent visitor to Chattanooga, a humble yet knowledgeable authority on Southern food and beverages, and a two-wheeled aficionado, there's no one better positioned to point out the many reasons why Greenville is much better to reside in than Chattanooga. These two cities do have their similarities. We both have rivers that intersect our downtowns, we're both in the shadow of craggy mountain ranges, and every fall both of our towns are covered in orange. 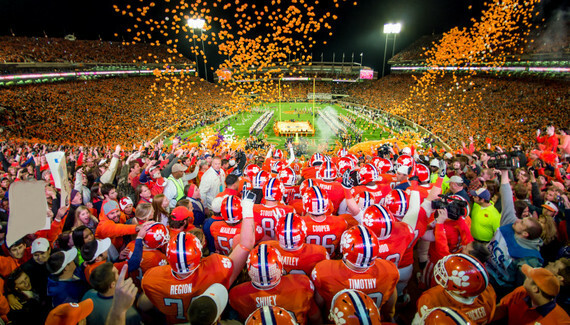 I'm not an alumnus of either university but I will take a stand and point out that our shade of orange is much more pleasing to the eye than the Tennessee shade of orange. Now for those of you debating to live in either Greenville or Chattanooga, I've thoughtfully distilled down my town's many benefits to nine compelling reasons. And after reading this, you'll be ready to call the movers and hit the road to Greenville. 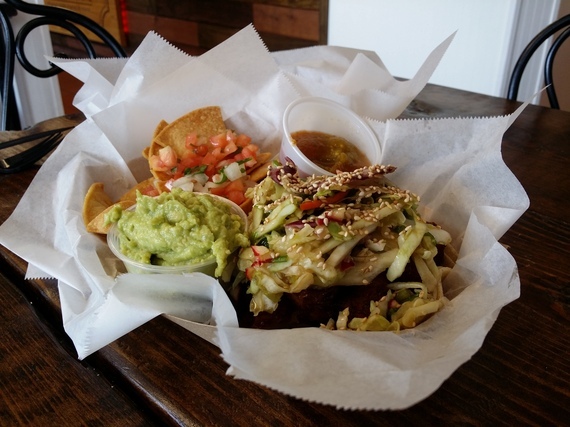 #9 Some of our best inexpensive restaurants are all accessible by a bike. 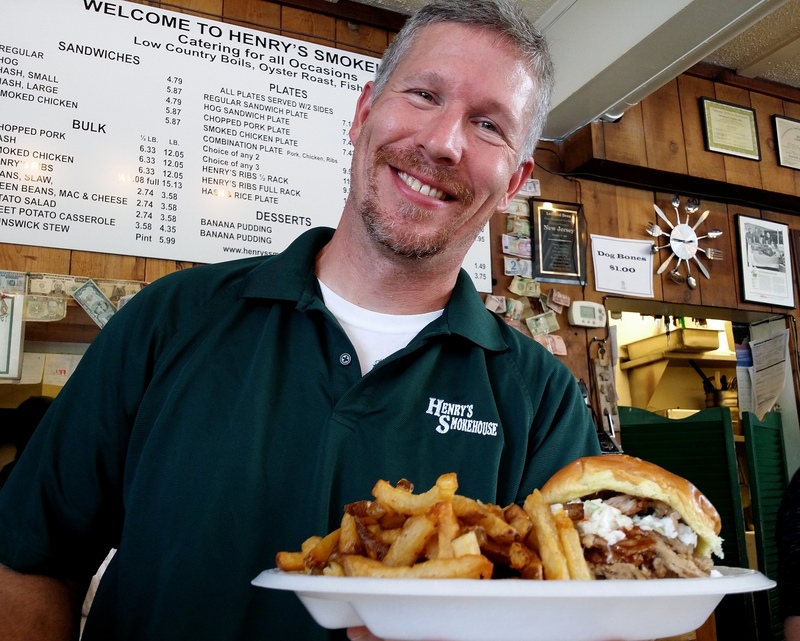 Are you a fan of interesting food yet also love to hold onto your money longer than it takes the average Chattanoogan to launch into Rocky Top at a stoplight? We've got three great options in Henry's Smokehouse, Asada, and Tandem Creperie that are not in Chattanooga, and will set you back less than $10. Henry's Smokehouse, where they serve handcut fries and great BBQ. Mission style Tacos at Asada come with handcut chips and Pico de Gallo. The Chattanooga Visitor's Bureau lining up for Crepes and Coffee at Tandem. 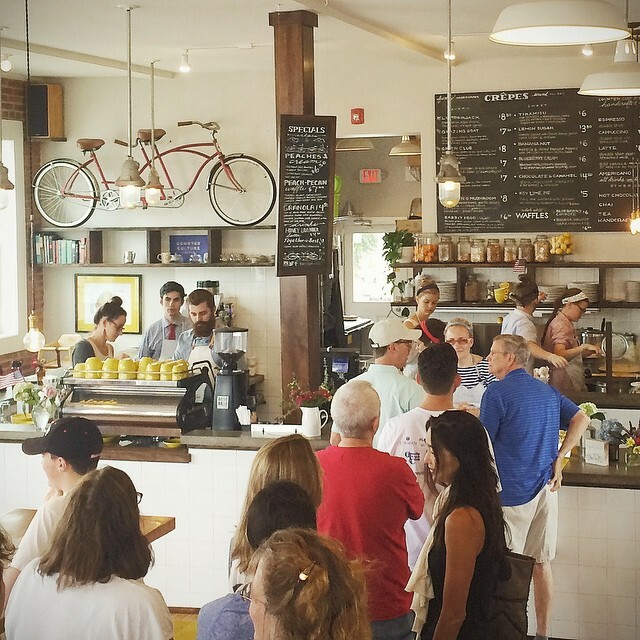 #8 Our coffee houses, especially Methodical and Due South. What city isn't complete without a world class indy coffee shop? And we've certainly got that in Will Shurtz's Methodical Coffee. And we also have coffee houses in places far from our Tennessee tourist-filled sidewalks. Due South Coffee is in the middle of a revitalized factory that also houses art and photography studios. 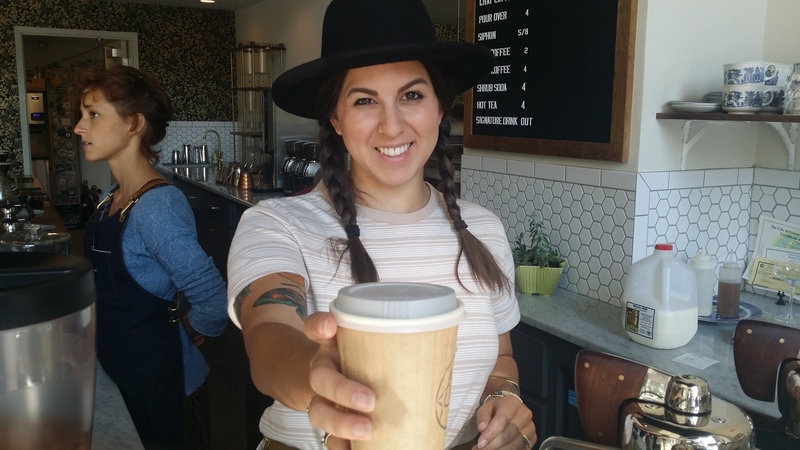 Every cup at Methodical Coffee comes with a pretty South Carolina smile. #7 Our pro cyclists are so nice, they've been known to cuddle babies. Both Greenville and Chattanooga are home to professional cyclists looking to make the jump to a Tour de France team. 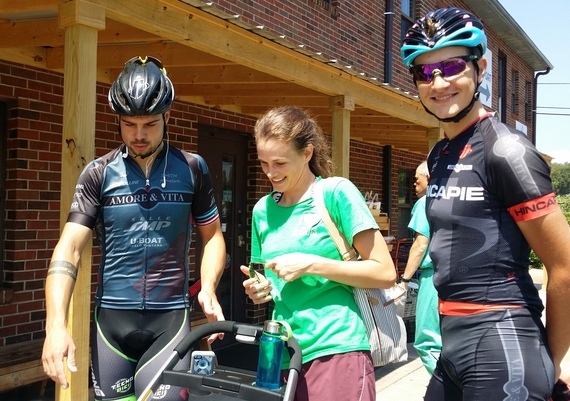 It's no secret that pro cyclists can be aloof and standoffish, and our city has gone to great lengths to provide sensitivity training to any aspiring professional. Our pro cyclists routinely smile, allow pedestrians the right of way, engage other cyclists and have been known to exclaim "buon giorno" as they rocket past you on the climb up Caesar's Head. "Posso far fuoriuscire il vostro bambino?" 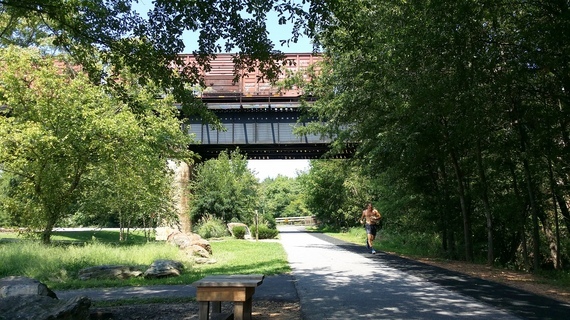 Our Swamp Rabbit Trail provides numerous opportunities for residents and visitors to walk, run, cycle, and roller skate underneath a moving train. And as anyone from the South knows, you can make a wish if you cross under a moving train. Our latest statistics count over 487,355 wishes have been made with a wish completion rate of 27%. Good luck finding that pot of gold in Chattanooga. Another point for Greenville. 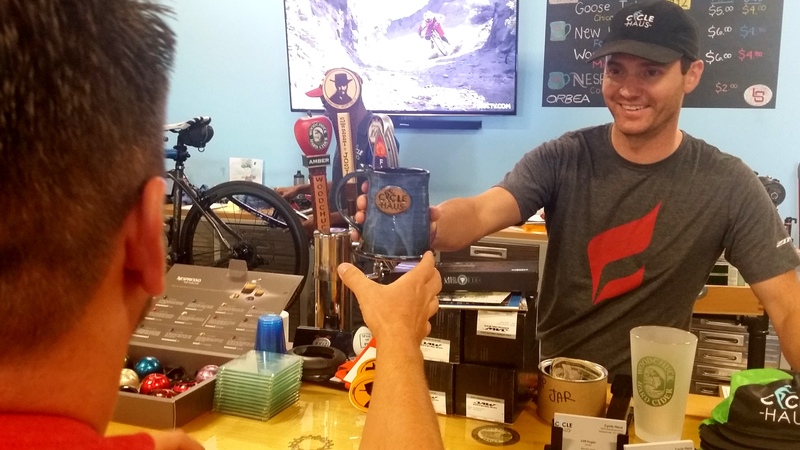 #5 One of our bike shops serves craft beer. No kidding. 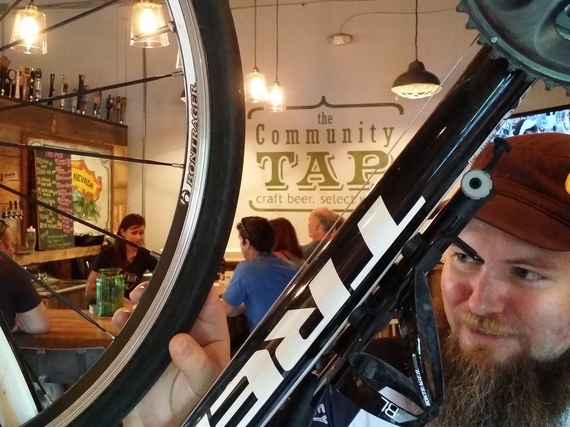 Cliff Kugler's Cycle Haus has seven taps of craft beer and the occasional cider. "So when did you move here from Chattanooga?" 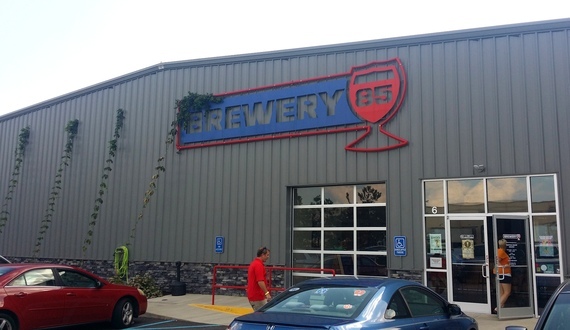 Our craft breweries get more respect than Tennessee's. Why? 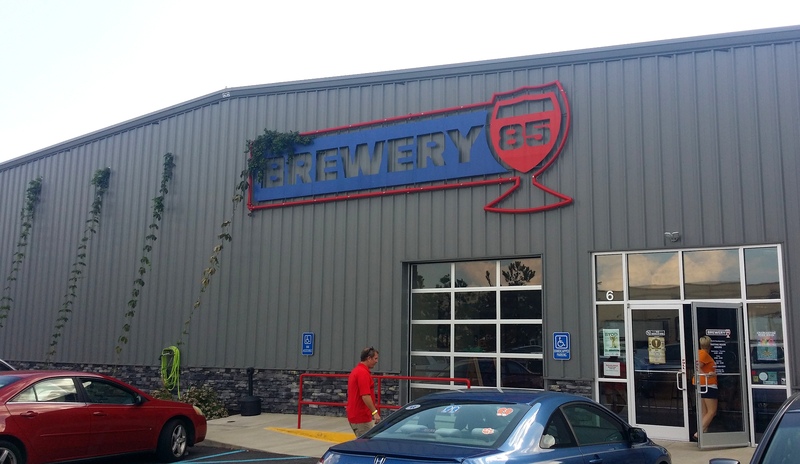 We practically invented the craft beer thing and case in point, our breweries are so influential, the Feds even named an Interstate highway after Brewery 85. And one of our craft beer shops has even been known to do the occasional bike repair. Yeah, our bike shops sell beer and our beer shops fix bikes. This one's a slam dunk for Greenville. #3 We've got steps everywhere. It's no secret that taking the stairs and not the elevator leads to multiple health benefits. And although we love you Chattanooga, we need to point out that y'all have really let yourselves go. 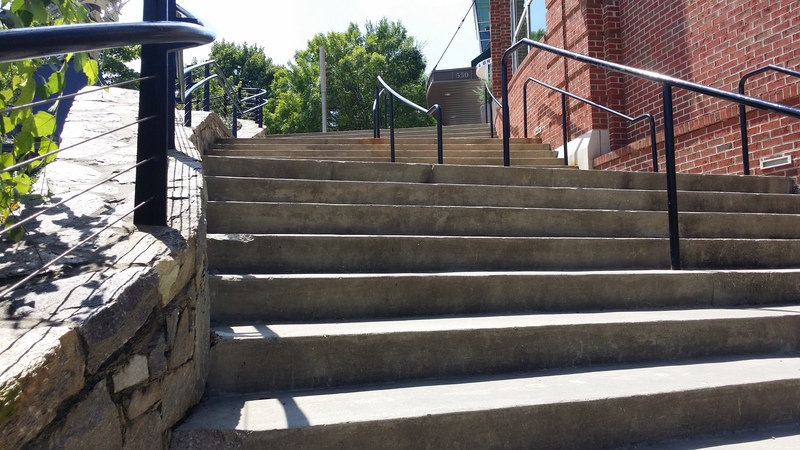 So when you come to visit, we've got numerous flights of stairs strategically placed throughout our town and we'd like y'all to make use of them. You're going to thank us later. 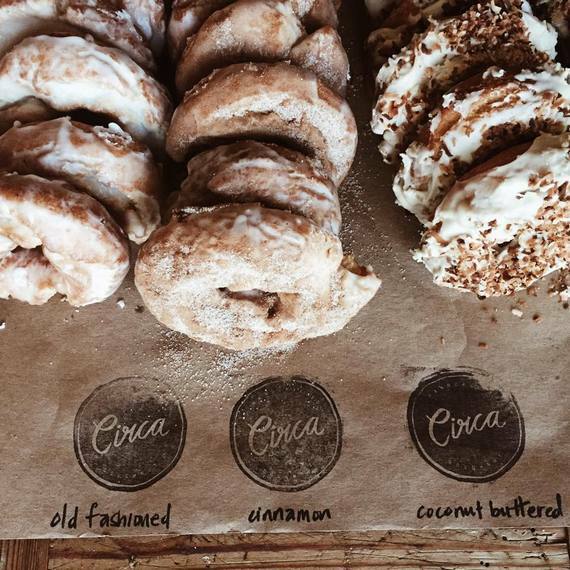 After you do enough rounds on our stairs or spend a morning road biking up Paris Mountain or Caesar's Head, you're going to want a treat. How about a handmade doughnut or popsicle? Shannon Mercado's Circa Doughnut is an energetic pop-up vendor that sells her succulent beauties all across our town. Then there's the King of Pops, Jeremy Elrod. 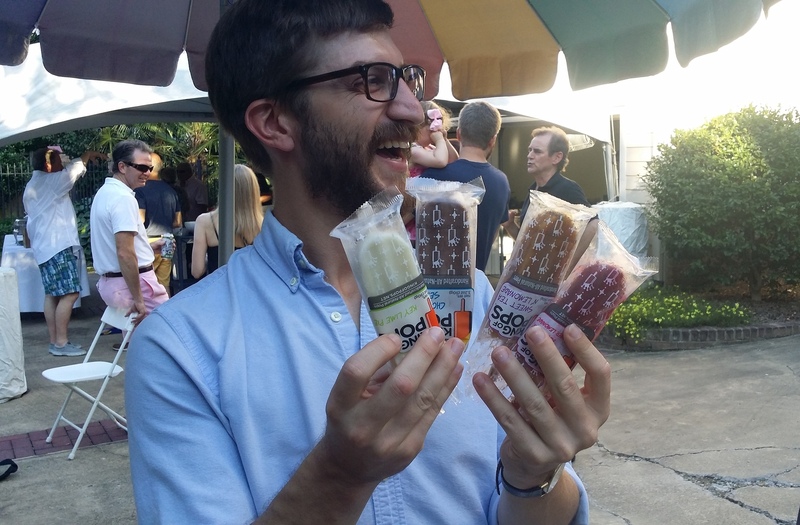 He creates popsicles that are out of this world delicious: Chocolate and Sea Salt, Arnold Palmer, Key Lime Pie, Grapefruit Jalapeno, Blackberry Ginger Lemonade. Score one more for Greenville. #1 Our River. It's relaxing, bucolic, and landscaped. And like Chattanooga's Tennessee River, the Reedy River winds through the middle of our town. Our river is usually calm, tranquil, and bucolic. Poets and scholars have been inspired to create Pulitzer Prize worthy works along its gently burbling banks. 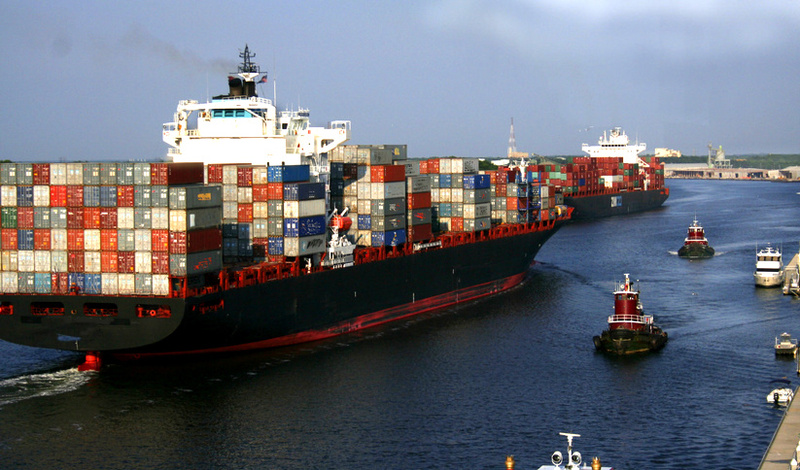 Sadly, because of Chattanooga's industrial nature, this is just not possible along the banks of the Tennessee. Score one more for Greenville. So by my tally Greenville wins this competition nine to zero. And to my ex-friends at Outside, all of us in Greenville will be expecting a handwritten apology letter. 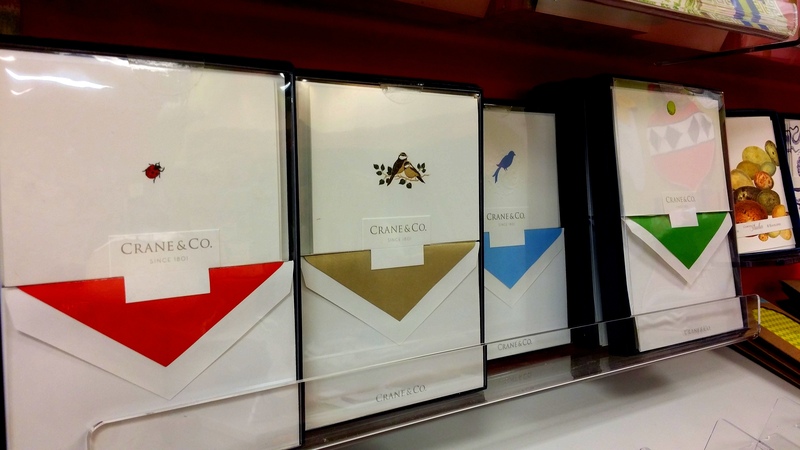 If you're not sure where to pick up the necessary items to create such a letter, you can visit Paisley & Paper, conveniently located in a city that we all prefer over Chattanooga. 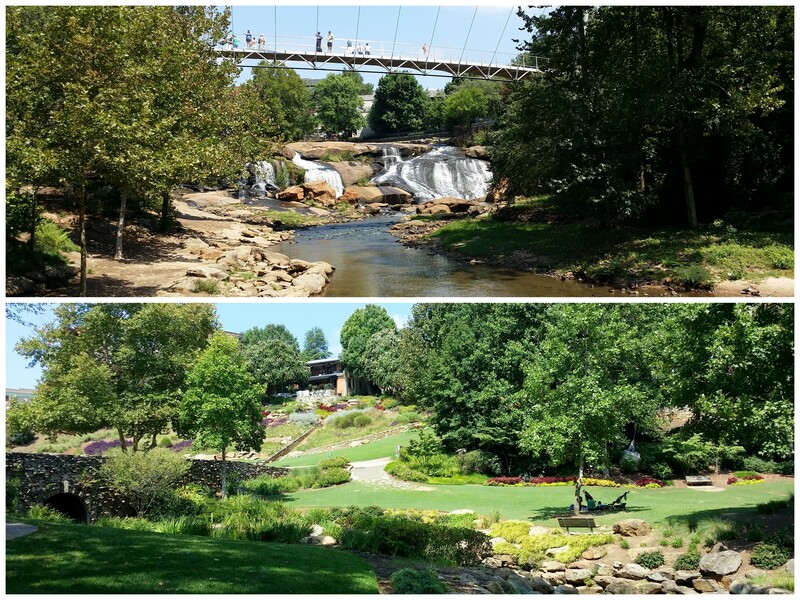 "Dear #yeahTHATgreenville, please accept our humblest apologies...sincerely, your friends at Outside."